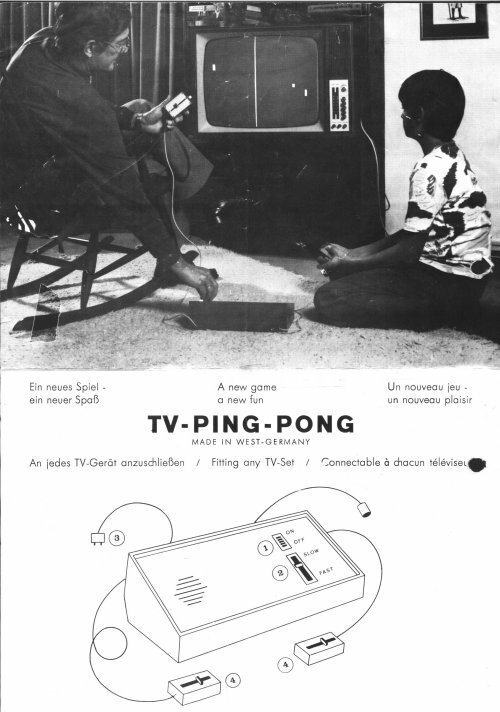 TV-Ping-Pong (model DN76) is another early PONG game made in west Germany in 1976 by an obscure company called EA (meaning unknown). It is almost digital and uses TTL chips of the 74xx series (almost digital in the sense that the horizontal ball motion is still done using a capacitor charging / discharging). 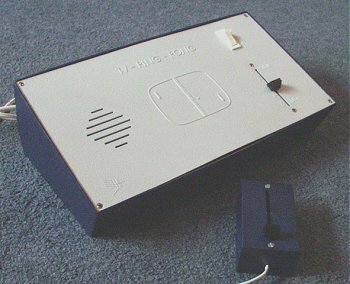 It is unknown if the system was released as a kit or ready made, but it was hand assembled, which is quite common for kits and low productions. The system pictured here has been modified with additional components. Another specimen showed the same changes, so it is supposed that these changes are original, or at least an improvement to the original design before the system was sold. 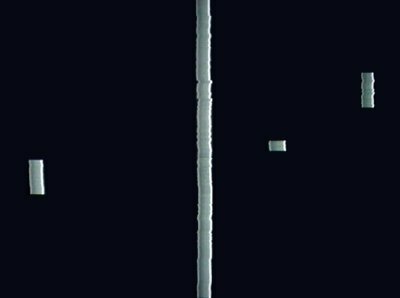 Curiously, this system only plays Tennis (Ping-Pong) for two players, although it could have played the "Hole in the Wall" variant with minor changes. The serve is automatic and very fast, giving the impression that the ball bounces on the left and right edges of the screen. When it bounces on a player, a short beep is produced, which is quite rare for a digital or analog system. The only difficulty level that can be set is the ball speed. The game is displayed in its simplest form: two bats, one ball and a central line. There is no on-screen scoring. Another interesting detail is the number of chips required for such a simple game. As a matter of fact, most analog systems can play the same game with less than 10 chips. Digital systems require more of them since their circuits are more complicated. Still, the system uses 29 chips yet it is not full digital because of the hozirontal ball motion which is analog. Left: game in action. Picture is quite unstable. Right: system and a controller. 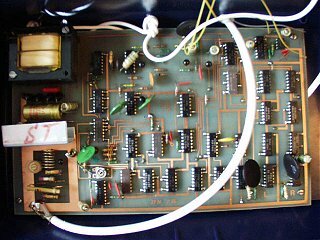 Inside the system: only discrete components (TTL chips). The big white cable is the TV RF cable.